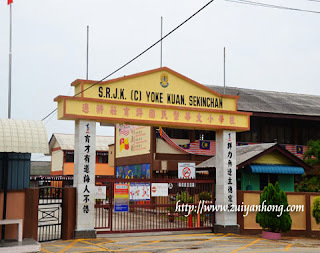 Before going to Sekinchan market, we passed by SJKC Yoke Kuan. We stopped there for a while to take some photos of the school. 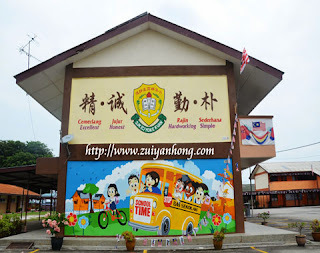 The mural of SJKC Yoke Kuan is truly fantastic. I wonder who had done this excellent job. 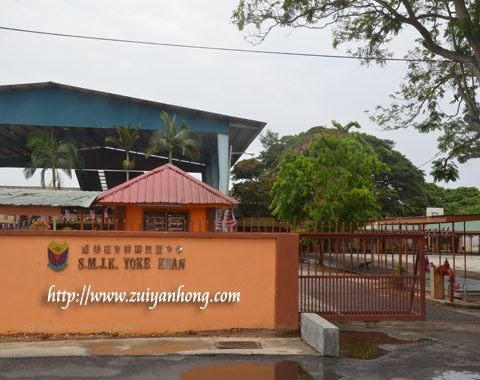 Pua Khein-Seng who had invented the first "USB flash drive" is the former student of SJKC Yoke Kuan. 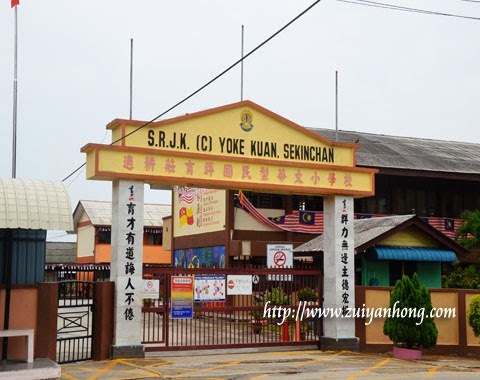 SMJK Yoke Kuan is located not far away from SJKC Yoke Kuan. This secondary school is the cradle of gymnastic. That's why Sekinchan is also known as gymnastic town.